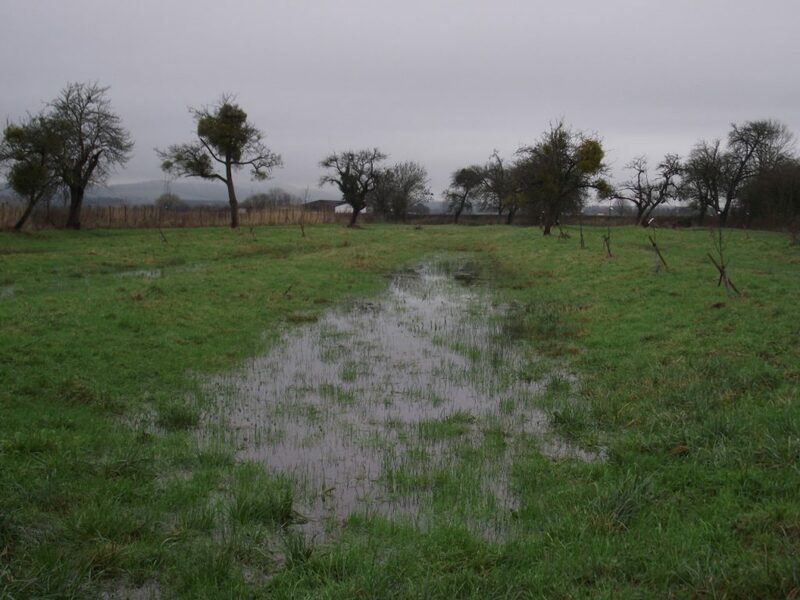 This long narrow orchard is a stone’s throw from the River Severn and shows the ridge and furrows typical of post war planting in wet areas. The ground was ridged to make sure that the trees planted on top of it were kept out of standing water, which lay in the furrows in between. And it can certainly get wet ! The owner of this orchard is keen to make sure that it stays as an orchard when he retires, should the farm be sold. With many small farms now being lost orchards are extremely vulnerable. He has already carried out some new planting to ‘gap up’ the orchard, which has only a few traditional trees left standing. 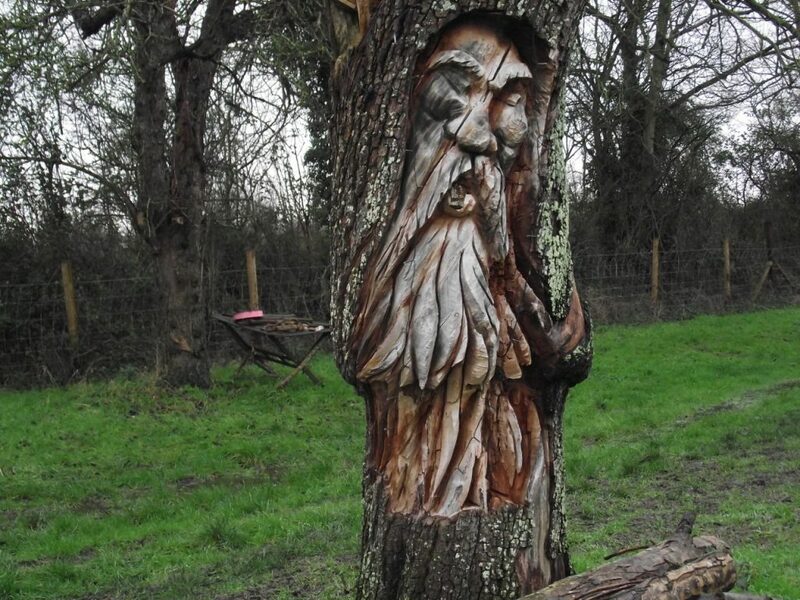 One of the most intriguing features of this orchard is the beautiful ‘green man’ carved into an old tree. 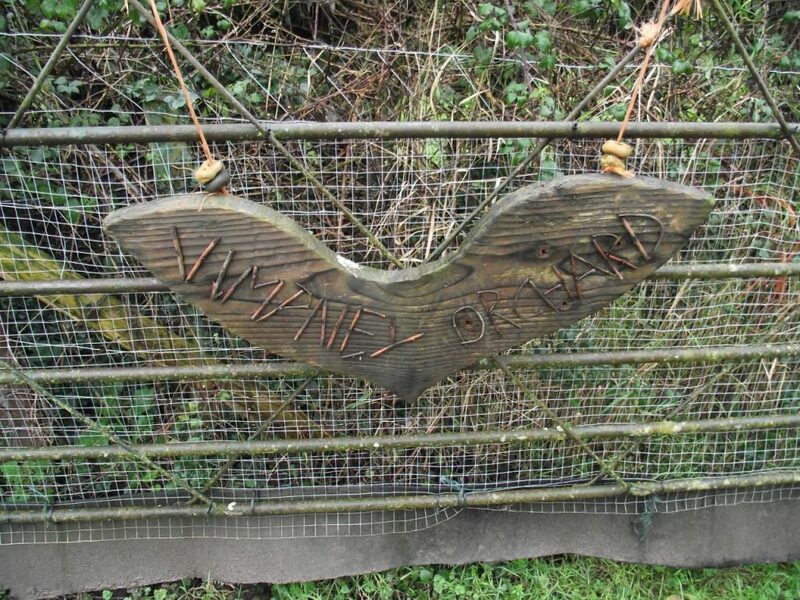 This was the created for a wassail some years ago and the owner is keen to make the orchard a place where friends and family can meet and enjoy it. One of the more unusual uses for it is as a dog training area at the weekends! TCTOP volunteers will be helping to prune some of the larger trees, which carry a heavy mistletoe load and are in danger of being blown over in high winds as a result. We will also be helping to carry out some more planting since there is still plenty of space for new trees. 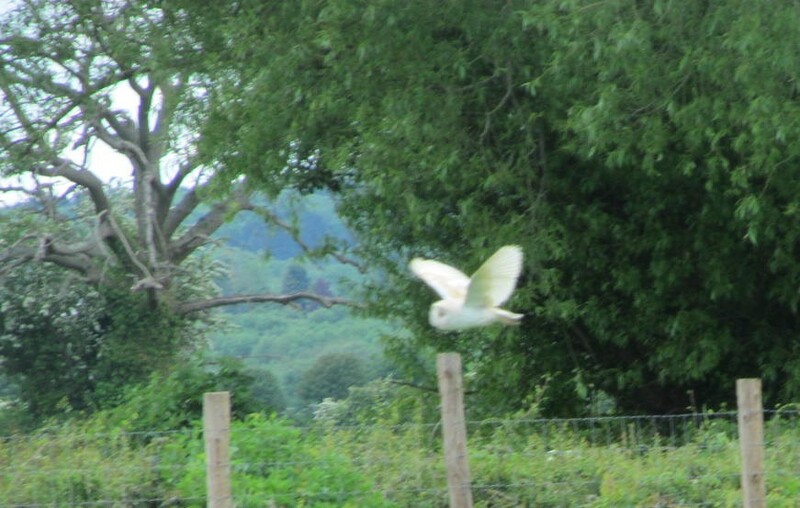 This is a perfect place to site some of our rare Gloucestershire fruit varieties.